Early development of the chiropractic profession in the 1900s represented the application of accumulated wisdom and traditional practices.1, 2 As was the practice of medicine, philosophy and practice of chiropractic were informed to a large extent by an apprenticeship and clinical experiential model in a time predominantly absent of clinical trials and observational research. This project was a guideline update based on current evidence and consensus of a multidisciplinary panel of experts in the conservative management of LBP. It has been recommended that, although periodic updates of guidelines are necessary, “partial updating often makes more sense than updating the whole CPG because topics and recommendations differ in terms of the need for updating.”33 Logan University Institutional Review Board determined that the project was exempt. We used Appraisal of Guidelines for Research & Evaluation (AGREE) in developing the guideline methodology. Between March 2014 through July 2014, we conducted a systematic review to update the literature published since the previous CCGPP guideline was developed. The search included articles that were published between October 2009 through February 2014. Our question was, “What is the effectiveness of chiropractic care including spinal manipulation for nonspecific low back pain?” Table 1 summarizes the eligibility criteria for the search. LBP, low back pain; RCT, randomized controlled trial. The following databases were included in the search: PubMed, Index to Chiropractic Literature, CINAHL, and MANTIS. Details of the strategy for each database are provided in Figure 1. Articles and abstracts were screened independently by 2 reviewers. Data were not further extracted. Search strategies used in the literature search. We evaluated articles using the Scottish Intercollegiate Guideline Network checklists (http://www.sign.ac.uk/methodology/checklists.html) for randomized controlled trials (RCTs) and systematic reviews/meta-analyses. For guidelines, the AGREE 2013 instrument35 was used. At least 2 of the 3 investigators conducting the review (CH, SW, MK) reviewed each article. If both reviewers rated the study as either high quality or acceptable, it was included for consideration; if both reviewers rated it as unacceptable, it was removed. For AGREE, we considered “unacceptable” to be a sum of <4. If there was disagreement between reviewers, a third also reviewed the article, and the majority rating was used. Flow diagram for literature search. 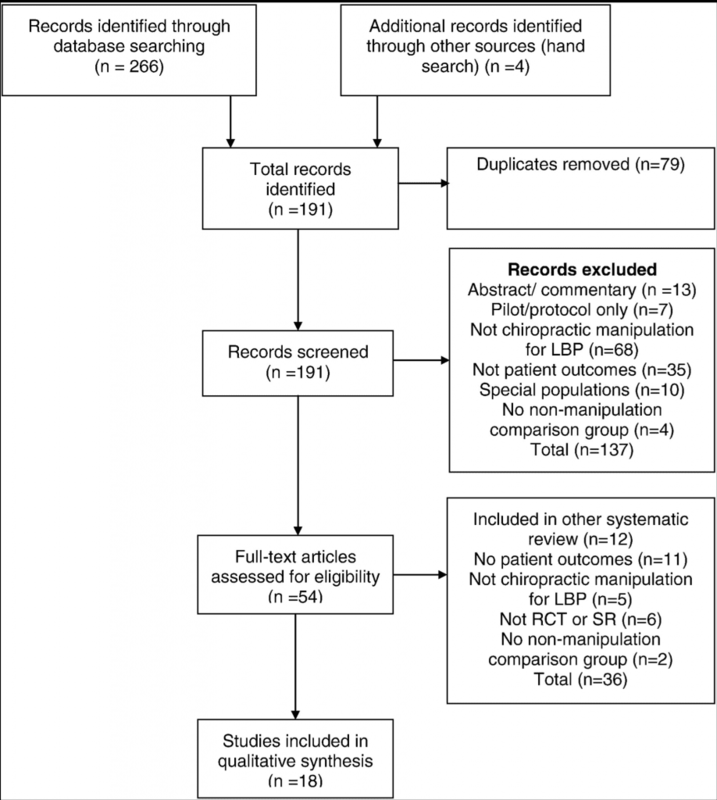 LBP, low back pain; RCT, randomized controlled trial; SR, systematic reviews. Of the 18 articles included after screening, 16 were retained as acceptable/high quality12, 17, 37, 38, 39, 40, 41, 42,43, 44, 45, 46, 47, 48, 49, 50 and 251, 52 (both systematic reviews) were excluded as being of unacceptable quality according to the Scottish Intercollegiate Guideline Network checklist. Those with new relevant information were summarized and provided to the Delphi panel as background information. Table 2 lists the articles by lead author and date, and the topic addressed, if new findings were present. Along with the literature summary, seed documents were comprised of the 3 previous CCGPP guidelines9, 10, 12; links were provided to full text versions. The original guidelines had been developed based on the evidence, including guidelines and research available at the time.16, 53, 54, 55, 56, 57, 58, 59, 60, 61, 62, 63 The steering committee, composed of authors on these previous guidelines, developed 51 seed statements based on the background documents, revising the previous statements if it seemed advisable based on the literature. The steering committee did not conduct a formal consensus process; however, the seed statement development was a team effort, with changes only made if all members of the steering committee were in agreement. Before conducting this project, these seed statements had gone through a local Delphi process among clinical and academic faculty at Logan University as part of their development of care pathways for their clinical faculty. This was done to assess the readability of the seed statements to a group of practicing clinicians. In the Delphi process, 7 statements were slightly modified from the original, and none of those changes were substantive, but rather for purposes of clarification. Consensus was reached for the seed document, which was then adopted by that institution for use in its teaching clinics. That document formed the seed document for the current project. For the Delphi rounds, the 51 statements were divided into 3 sections to be less onerous for the panelists to rate in a timely manner. Panelists who served on the 3 previous consensus projects10, 11, 12 related to LBP management were invited to participate. Steering committee members made additional recommendations for experts in management of LBP who were not DCs to increase multidisciplinary input. There were 37 panelists; 33 were DCs, one of whom had dual licensure—DC and massage therapist. The 4 non-DC panelists consisted of an acupuncturist who is also a medical doctor, a medical doctor (orthopedic surgeon), a massage therapist, and a physical therapist. Thirty-three of the 37 panelists were in practice (89%); the mean number of years in practice was 27. Seventeen were also affiliated with a chiropractic institution (46%), with 2 of these associated with Logan University; 3 were affiliated with a different health care professional institution (8%); and 1 was employed with a government agency. Because this guideline focuses primarily on chiropractic practice in the United States, geographically, all panelists were from the United States, with 19 states represented. These were Arizona (1), California (4), Florida (3), Georgia (3), Hawaii (2), Iowa (2), Illinois (3), Kansas (1), Michigan (1), Minnesota (1), Missouri (3), North Carolina (1), New Jersey (2), New York (5), South Carolina (1), South Dakota (1), Texas (1), Virginia (1), and Vermont (1). Of the 33 DCs, 21 (64%) were members of the American Chiropractic Association, 2 (6%) were members of the International Chiropractors Association, and 10 (30%) did not belong to any national chiropractic professional organization. After scoring each Delphi round, the project coordinator provided the medians, percentages, and comments (as a Word table) to the steering committee. They reviewed all comments and revised any statements not reaching consensus as per these comments. The project coordinator circulated the revised statements, accompanied by the deidentified comments, to the Delphi panel for the next round. We considered consensus on a statement’s appropriateness to have been reached if both the median rating was 7 or higher and at least 80% of panelists’ ratings for that statement were 7 or higher. Panelists were provided with space to make unlimited comments on each statement. If consensus could not be reached, it was planned that minority reports would be included. As per recommendations for guideline development such as AGREE, we invited public comment on the draft CPG. This was accomplished by posting the consensus statement on the CCGPP Web site. Press releases and direct e-mail contacts announced a 2-week public comment period, with comments collected via an online Web survey application. Organizations and institutions who were contacted included the following: all US chiropractic colleges; members of all chiropractic state organizations; state boards of chiropractic examiners; chiropractic practice consultants; chiropractic attorneys; chiropractic media (including 1 publication sent to all US-licensed DCs); and chiropractic vendors, whose contacts also included interested laypersons. The steering committee then crafted additional or revised statements as per the comments collected through this method, and these statements were then recirculated through the Delphi panel until consensus was reached. For scoring purposes, ratings of 1-3 were collapsed as “inappropriate,” 4-6 as “uncertain,” and 7-9 as “appropriate.” If a panelist rated a statement as “inappropriate,” he or she was instructed to articulate a specific reason and provide a citation from the peer-reviewed literature to support it, if possible. The project coordinator entered ratings into a database (SPSS v. 22.0, Armonk, NY: IBM Corp, 2013). The verbatim evidence-informed consensus-based seed statements, as approved by the Delphi panel, are presented below. Consensus was reached after 1 round of revisions, with an additional round conducted to reach consensus on the changes that resulted from the public comment period. No minority reports are included because consensus was reached on all statements. There were 7 comments received, 6 from DCs and 1 from a layperson. Three did not require a response; statements were added or modified in response to the other 4 comments. Most acute pain, typically the result of injury (micro- or macrotrauma), responds to a short course of conservative treatment (Table 3). If effectively treated at this stage, patients often recover with full resolution of pain and function, although recurrences are common. Delayed or inadequate early clinical management may result in increased risk of chronicity and disability. Furthermore, those responding poorly in the acute stage and those with increased risk factors for chronicity must also be identified as early as possible. 1-4 visits per month At minimum every 6 visits, or as necessary to document condition changes. aFor acute and subacute stages; up to 12 visits per trial of care. If additional trials of care are indicated, supporting documentation should be available for review, including, but not necessarily limited to, documentation of complicating factors and/or comorbidities coupled with evidence of functional gains from earlier trial(s). Efforts toward self-care recommendations should be documented. bFor chronic presentations, exacerbations, and scheduled ongoing care for management of chronic pain, additional care must be supported with evidence of either functional improvement or functional optimization. Such presentations may include, but are not limited to, the following: (1) substantial symptom recurrences following treatment withdrawal, (2) minimization/control of pain, (3) maintenance of function and ability to perform common ADLs, (4) minimization of dependence on therapeutic interventions with greater risk(s) of adverse events, and (5) care which maintains or improves capacity to perform work. Efforts toward self-care recommendations should be documented. Clinicians must continually be vigilant for the appearance of clinical red flags that may arise at any point during patient care. In addition, biopsychosocial factors (also known as clinical yellow flags) should be identified and addressed as early as possible as part of a comprehensive approach to clinical management. Chiropractic doctors are skilled in multiple approaches of functional assessment and treatment. Depending on the clinical complexity, DCs can work independently or as part of a multidisciplinary team approach to functional restoration of patients with acute and chronic LBP. It is the ultimate goal of chiropractic care to improve patients’ functional capacity and educate them to accept independently the responsibility for their own health. Thorough history and evidence-informed examination procedures are critical components of chiropractic clinical management. These procedures provide the clinical rationale for appropriate diagnosis and subsequent treatment planning. 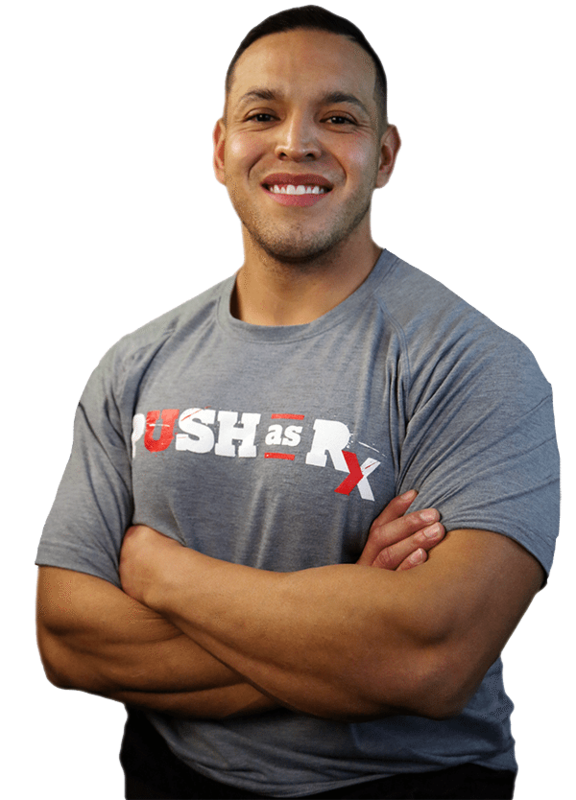 Conditions of illness and injury are typically classified by severity and/or duration. Common descriptions of the stages of illness and injuries are acute, subacute, chronic, and recurrent, and further subdivided into mild, moderate, and severe. Acute—symptoms persisting for less than 6 weeks. Subacute—symptoms persisting between 6 and 12 weeks. Chronic—symptoms persisting for at least 12 weeks’ duration. Recurrent/flare-up—return of symptoms perceived to be similar to those of the original injury at sporadic intervals or as a result of exacerbating factors. Although most patients respond within anticipated time frames, frequency and duration of treatment may be influenced by individual patient factors or characteristics that present as barriers to recovery (eg, comorbidities, clinical yellow flags). Depending on these individualized factors, additional time and treatment may be required to observe a therapeutic response. The therapeutic effects of chiropractic care/treatment should be evaluated by subjective and/or objective assessments after each course of treatment (see “Outcome Measurement”). Recommended therapeutic trial ranges are representative of typical care parameters. A typical initial therapeutic trial of chiropractic care consists of 6 to 12 visits over a 2- to 4-week period, with the doctor monitoring the patient’s progress with each visit to ensure that acceptable clinical gains are realized (Table 3). For acute conditions, fewer treatments may be necessary to observe a therapeutic effect and to obtain complete recovery. Chiropractic management is also recommended for various chronic low back conditions where repeated episodes (or acute exacerbations) are experienced by the patient, particularly when a previous course of care has demonstrated clinical effectiveness and reduced the long-term use of medications. To be consistent with an evidence-based approach, DCs should use clinical methods that generally reflect the best available evidence, combined with clinical judgment, experience, and patient preference. For example, currently, the most robust literature regarding manual therapy for LBP is based primarily on high-velocity, low-amplitude (HVLA) techniques, and mobilization (such as flexion-distraction).17, 20, 66 Therefore, in the absence of contraindications, these methods are generally recommended. However, best practices for individualized patient care, based on clinical judgment and patient preference, may require alternative clinical strategies for which the evidence of effectiveness may be less robust. The treatment recommendations that follow, based on clinical experience combined with the best available evidence, are posited for the “typical” patient and do not include risk stratification for complicating factors. Complicating factors are discussed elsewhere in this document. An initial course of chiropractic treatment typically includes 1 or more “passive” (ie, nonexercise) manual therapeutic procedures (ie, spinal manipulation or mobilization) and physiotherapeutic modalities for pain reduction, in addition to patient education designed to reassure and instill optimal strategies for independent management. Although the evidence reviewed does not generally support the use of therapeutic modalities (ie, ultrasonography, electrical stimulation, etc) in isolation,67 their use as part of a passive-to-active care multimodal approach to LBP management may be warranted based on clinician judgment and patient preferences. Because of the scarcity of definitive evidence,68 lumbar supports (bracing/taping/orthoses) are not recommended for routine use, but there may be some utility in both acute and chronic conditions based upon clinician judgment, patient presentation, and preferences. Caution should be exercised as these orthopedic devices may interfere with conditioning and return to regular activities of daily living (ADLs). The initial visits allow the doctor to explain that the clinician and the patient must work as a proactive team and to outline the patient’s responsibilities. Although passive care methods for pain or discomfort may be initially emphasized, “active” (ie, exercise) care should be increasingly integrated to increase function and return the patient to regular activities. Table 3 lists appropriate frequency and duration ranges for trials of chiropractic treatment for different stages of LBP. After an initial course of treatment has been concluded, a detailed or focused reevaluation should be performed. The purpose of this reevaluation is to determine whether the patient has made clinically meaningful improvement. 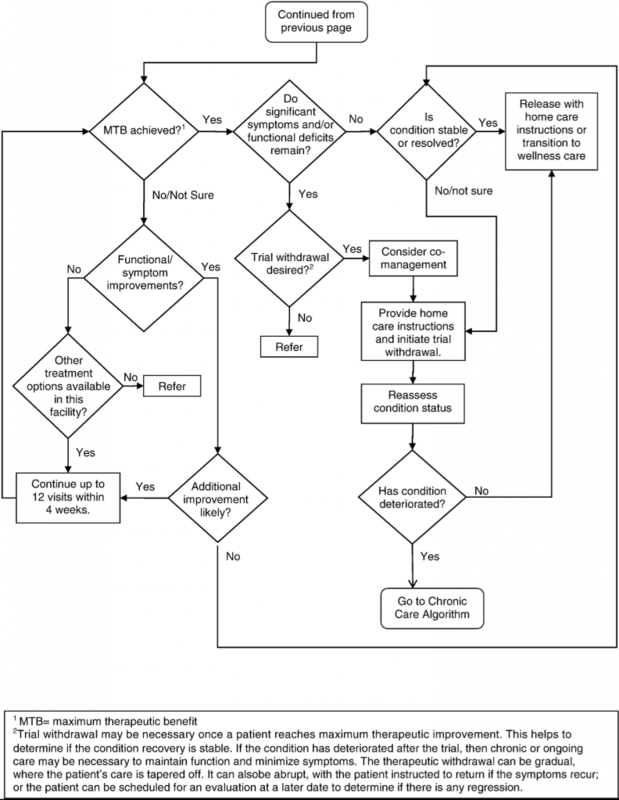 A determination of the necessity for additional treatment should be based on the response to the initial trial of care and the likelihood that additional gains can be achieved. As patients begin to plateau in their response to treatment, further care should be tapered or discontinued depending on the presentation. A reevaluation is recommended to confirm that the condition has reached a clinical plateau or has resolved. When a patient reaches complete or partial resolution of their condition and all reasonable treatment and diagnostic studies have been provided, then this should be considered a final plateau (maximum therapeutic benefit, MTB). The DC should perform a final examination, typically following a trial of therapeutic withdrawal, to verify that MTB has been achieved and provide any necessary patient education and instructions in effective future self-management and/or the possible need for future chiropractic care to retain the benefits achieved. When the patient’s condition reaches a plateau or no longer shows ongoing improvement from the therapy, a decision must be made on whether the patient will need to continue treatment. Generally, progressively longer trials of therapeutic withdrawal may be useful in ascertaining whether therapeutic gains can be maintained without treatment. In a case where a patient reaches a clinical plateau in their recovery (MTB) and has been provided reasonable trials of interdisciplinary treatments, additional chiropractic care may be indicated in cases of exacerbation/flare-up or when withdrawal of care results in substantial, measurable decline in functional or work status. Additional chiropractic care may be indicated in cases of exacerbation/flare-up in patients who have previously reached MTB if criteria to support such care (substantive, measurable prior functional gains with recurrence of functional deficits) have been established. 1.Pain scales such as the visual analog scale and the numeric rating scale. 2.Pain diagrams that allow the patient to demonstrate the location and character of their symptoms. 3.Validated ADL measures, such as the Revised Oswestry Back Disability Index, Roland Morris Back Disability Index, RAND 36, and Bournemouth Disability Questionnaire. 4.Increases in home and leisure activities, in addition to increases in exercise capacity. 5.Increases in work capacity or decreases in prior work restrictions. 6.Improvement in validated functional capacity testing, such as lifting capacity, strength, flexibility, and endurance. These are usually brief episodes of muscle stiffness or soreness.20 The relative risk (RR) of adverse events appears greater with drug therapy but less with usual medical care.70 Comparatively, an earlier study from 1995 related to cervical manipulation found that the RR for high-velocity manipulation causing minor/moderate adverse events was significantly less than the RR of the comparison medication (usually nonsteroidal anti-inflammatory drugs [NSAIDs]).71 The risk of death from NSAIDs for osteoarthritis was estimated to be 100-400 times the risk of death from cervical manipulation.71 Because lumbar spine manipulation is considered lower risk than cervical manipulation, it is reasonable to extrapolate that NSAIDs pose at least the same comparative risk when prescribed for the treatment of LBP. Special attention must be given to each patient’s individual history and presentation. In that context, it should be noted that for patients who are not good candidates for HVLA manipulation, DCs should modify their manual approach accordingly. Chiropractic-directed care, including patient education, and passive and active care therapy, is a safe and effective form of health care for low back disorders. As stated in the previous section, there are certain clinical situations where HVLA manipulation or other manual therapies may be contraindicated. It is incumbent upon the treating DC to evaluate the need for care and the risks associated with any treatment to be applied. Many contraindications are considered relative to the location and stage of severity of the morbidity, whether there is co-management with one or more specialists, and the therapeutic methods being used by the chiropractic physician. Figure 3 lists contraindications for high-velocity manipulation to the lumbar spine (red flags); however, these do not necessarily prohibit soft-tissue, low-velocity, low-amplitude procedures and mobilization. Contraindications for high-velocity manipulation to the lumbar spine (red flags). aIn some cases, soft-tissue, low-velocity, low-amplitude mobilization procedures may still be clinically reasonable and safe. In some complex cases where biomechanical, neurological, or vascular structure or integrity is compromised, the clinician may need to modify or omit the delivery of manipulative procedures. Chiropractic co-management may still be appropriate using a variety of treatments and therapies commonly used by DCs. It is prudent to document the steps taken to minimize the additional risk that these conditions may present. 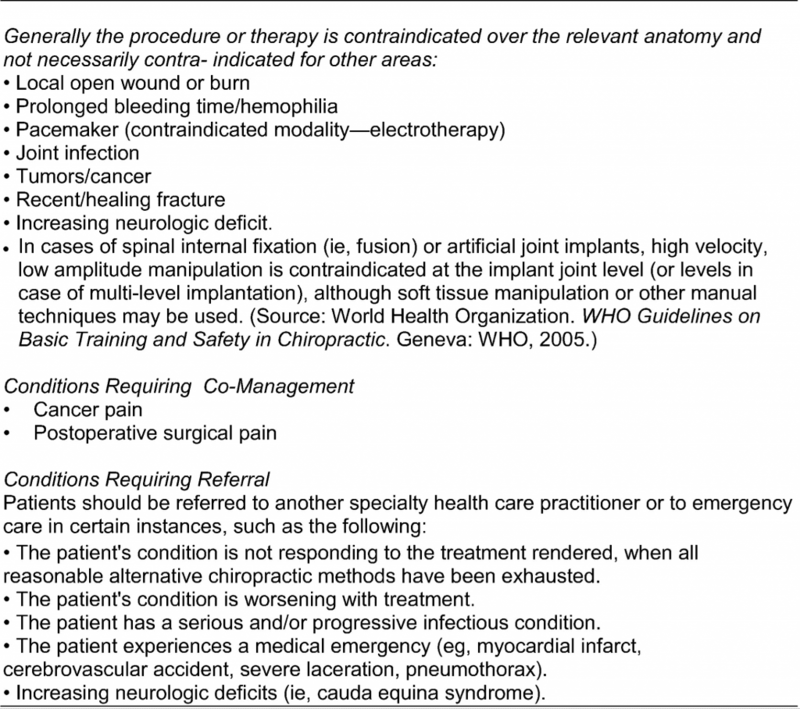 Figure 4 lists conditions which present contraindications to spinal manipulation and passive therapy, along with conditions requiring co-management and/or referral. Conditions contraindicating certain chiropractic-directed treatments such as spinal manipulation and passive therapy. During the course of ongoing chronic pain management of spine-related conditions, the provider must remain alert to the emergence of well-known and established “red flags” that could indicate the presence of serious pathology. Patients presenting with “red flag” signs and/or symptoms require prompt diagnostic workup which can include imaging, laboratory studies, and/or referral to another provider. Ignoring these “red flag” indicators increases the likelihood of patient harm. Figure 5 summarizes red flags that present contraindications to ongoing HVLA spinal manipulation. Complicating factors that may document the necessity of ongoing care for chronic conditions. Definition of chronic pain patients. Note: MTB is defined as the point at which a patient’s condition has plateaued and is unlikely to improve further. Chronic pain patients are those for whom ongoing supervised treatment/care has demonstrated clinically meaningful improvement with a course of management and who have reached MTB, but in whom substantial residual deficits in activity performance remain or recur upon withdrawal of treatment. The management for chronic pain patients ranges from home-directed self-care to episodic care to scheduled ongoing care. Patients who require provider-assisted ongoing care are those for whom self-care measures, although necessary, are not sufficient to sustain previously achieved therapeutic gains; these patients may be expected to progressively deteriorate as demonstrated by previous treatment withdrawals. Chronic pain management occurs after the appropriate application of active and passive care including lifestyle modifications. It may be appropriate when rehabilitative and/or functional restorative and other care options, such as psychosocial issues, home-based self-care, and lifestyle modifications, have been considered and/or attempted, yet treatment fails to sustain prior therapeutic gains and withdrawal/reduction results in the exacerbation of the patient’s condition and/or adversely affects their ADLs. Ongoing care may be inappropriate when it interferes with other appropriate care or when the risk of supportive care outweighs its benefits, that is, physician dependence, somatization, illness behavior, or secondary gain. However, when the benefits outweigh the risks, ongoing care may be both medically necessary and appropriate. Appropriate chronic pain management of spine-related conditions includes addressing the issues of physician dependence, somatization, illness behavior, and secondary gain. 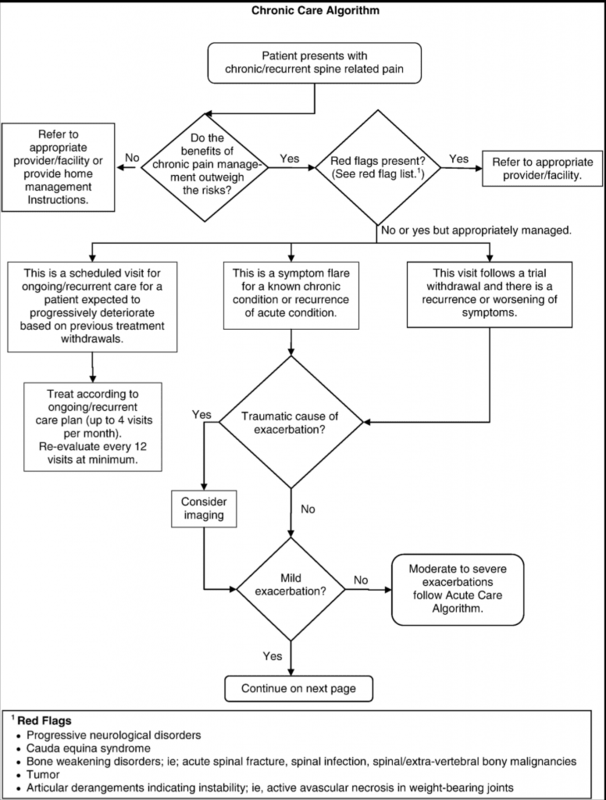 Those conditions that require ongoing supervised treatment after having first achieved MTB should have appropriate documentation that clearly describes them as persistent or recurrent conditions. Once documented as persistent or recurrent, these chronic presentations should not be categorized as “acute” or uncomplicated. The list above is not all-inclusive and is provided to represent prognostic factors most commonly seen in the literature. Other factors or comorbidities not listed above may adversely affect a given patient’s prognosis and management. These should be documented in the clinical record and considered on a case-by-case basis. Impairment/disability: The patient who has reached MTB but has failed to reach preinjury status has an impairment/disability even if the injured patient has not yet received a permanent impairment/disability award. Medical history: Concurrent condition(s) and/or use of certain medications may affect outcomes. 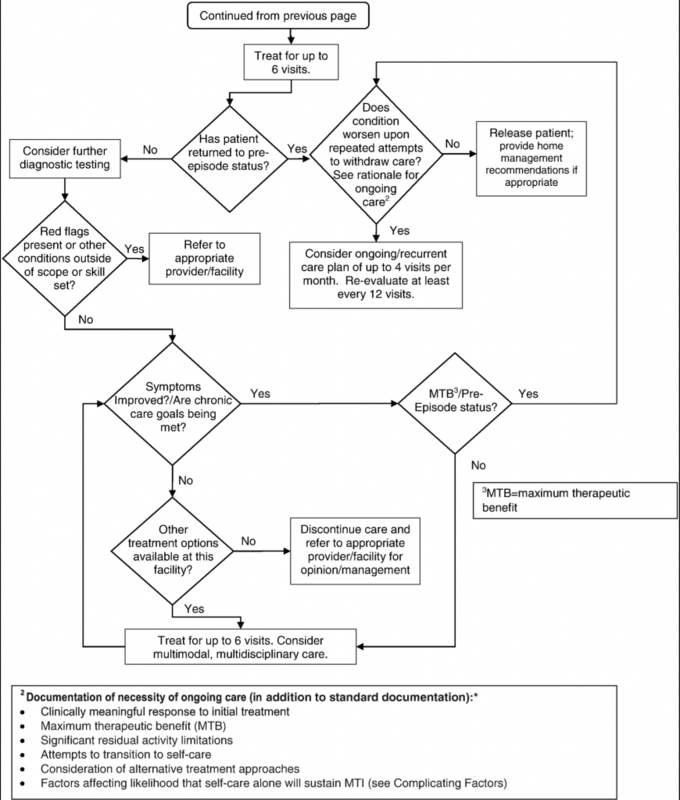 History of prior treatment: Initial and subsequent care (type and duration), as well as patient compliance and response to care, can assist the physician in developing appropriate treatment planning. Delays in the initiation of appropriate care may complicate the patient’s condition and extend recovery time. Lifestyle habits: Lifestyle habits may impact the magnitude of treatment response, including outcomes at MTB. Psychological factors: A history of depression, anxiety, somatoform disorder, or other psychopathology may complicate treatment and/or recovery. Documented flare-ups/exacerbations (ie, increased pain and/or associated symptoms, which may or may not be related to specific incidents), superimposed on a recurrent or chronic course, may be an indication of chronicity and/or need for ongoing care. 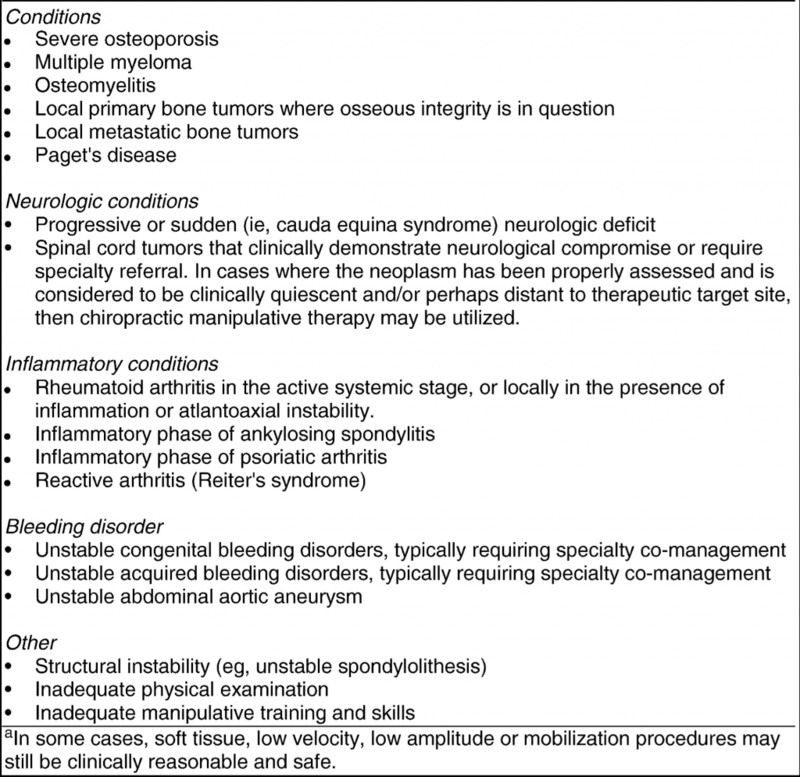 Figure 5 lists complicating factors that may document the necessity of ongoing care for chronic spine-related conditions. Such lists of complicating/risk factors are not all-inclusive. Individual factors from this list may adequately explain the condition chronicity, complexity, and instability in some cases. However, most chronic cases that require ongoing care are characterized by multiple complicating factors. These factors should be carefully identified and documented in the patient’s file to support the characterization of a condition as chronic. A number of prognostic variables have been identified as increasing the risk of transition from acute/subacute to chronic nonspecific spine-related pain. However, their independent prognostic value is low. A multidimensional model, that is, a number of clinical, demographic, psychological, and social factors are considered simultaneously, has been recommended. This model emphasizes the interaction among these factors, as well as the possible overlap between variables such as pain beliefs and pain behaviors. Treatment expectations: Patients with high expectations for a specific treatment may contribute to better functional outcomes if they receive that treatment. Significant others’ support: Patients’ risk of chronicity may be reduced when family members encourage their participation in social and recreational activities. The diagnosis should never be used exclusively to determine need for care (or lack thereof). The diagnosis must be considered with the remainder of case documentation to assist the physician or reviewer in developing a comprehensive clinical picture of the condition/patient under treatment. Response to date of care management for the current and previous episodes. Response to therapeutic withdrawal (either gradual or complete withdrawal) or absence of care. MTB has been reached and documented. Other health care services used. Documentation of having achieved a clinically meaningful favorable response to initial treatment or documentation that the plan of care is to be amended. Documentation that the patient has reached MTB. Substantial residual deficits in activity limitations are present at MTB. Documented attempts of transition to primary self-care. Documented attempts and/or consideration of alternative treatment approaches. Documentation of those factors influencing the likelihood that self-care alone will be insufficient to sustain or restore MTB. Nutritional/dietary assessment with respect to factors related to pain management (such as vitamin D intake). This list is provided for guidance only and is not all-inclusive. All items are not required to justify the need for ongoing care. Each item of clinical information should be documented in the case file to describe the patient’s clinical status, present and past. In the absence of documented flare-up/exacerbation, the ongoing treatment of persistent or recurrent spine-related disorders is not expected to result in any clinically meaningful change. In the event of a flare-up or exacerbation, a patient may require additional supervised treatment to facilitate return to MTB status. Individual circumstances including patient preferences and previous response to specific interventions guide the appropriate services to be used in each case. A variety of functional and physiological changes may occur in chronic conditions. Therefore, a variety of treatment procedures, modalities, and recommendations may be applied to benefit the patient. The necessity for ongoing chronic pain management of spine-related conditions for individual patients is established when there is a return of pain and/or other symptoms and/or pain-related difficulty performing tasks and actions equivalent to the appropriate minimal clinically important change value for more than 24 hours, for example, change in numeric rating scale of more than 2 points for chronic LBP. Although the visit frequency and duration of supervised treatment vary and are influenced by the rate of recovery toward MTB values and the individual’s ability to self-manage the recurrence of complaints, a reasonable therapeutic trial for managing patients requiring ongoing care is up to 4 visits after a therapeutic withdrawal. If reevaluation indicates further care, this may be delivered at up to 4 visits per month. (Caution: The majority of chronic pain patients can self/home-manage, be managed in short episodic bursts of care, or require ongoing care at 1-2 visits per month, to be reevaluated at a minimum of every 12 visits. It is rare that a patient would require 4 visits per month to manage even advanced or complicated chronic pain.) Clinicians should routinely monitor a patient’s change in pain/function to determine appropriateness of continued care. An appropriate reevaluation should be completed at minimum every 12 visits. Reevaluation may be indicated more frequently in the event a patient reports a substantial or unanticipated change in symptoms and/or there is a basis for determining the need for change in the treatment plan/goals. 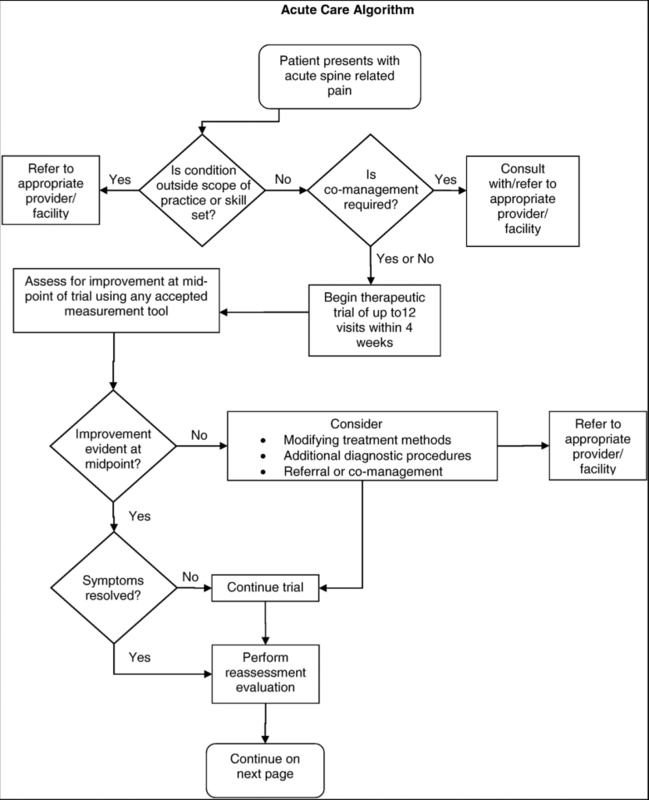 When pain and/or ADL dysfunction exceeds the patient’s ability to self-manage, the medical necessity of care should be documented and the chronic care treatment plan altered appropriately. Patient recovery patterns vary depending on degrees of exacerbations. Mild exacerbation episodes may be manageable with 1-6 office visits within a chronic care treatment plan. There is not a linear effect between the intensity of exacerbation and time to recovery. Figure 6 summarizes the pathways for the chiropractic management of LBP. 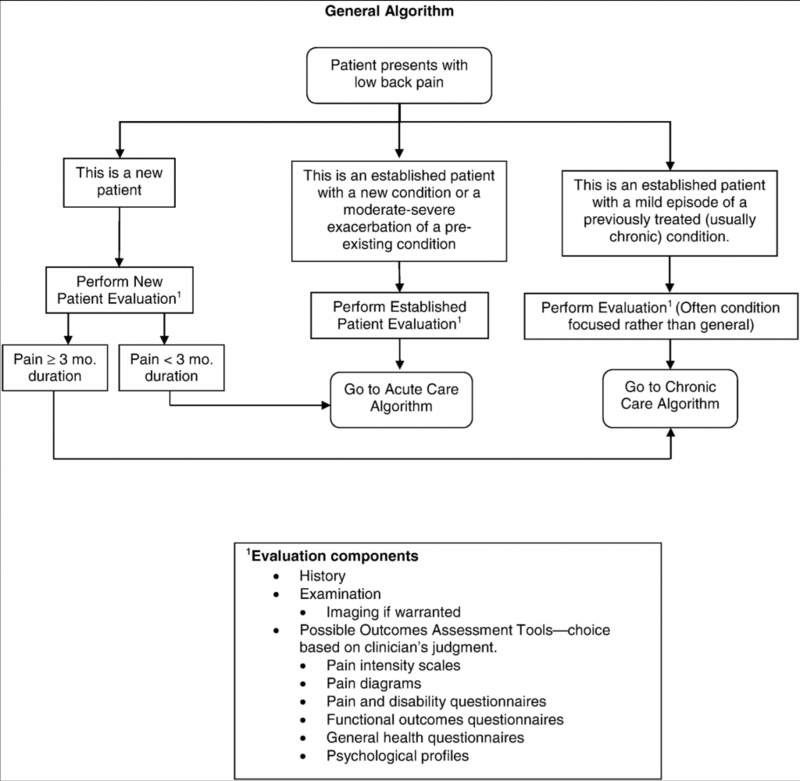 Algorithms for chiropractic management of LBP. With the chiropractic profession’s establishment of the CCGPP to facilitate the development of best practices, 3 guidelines addressing the management of low back disorders were ultimately published.9, 10, 12 This set in motion an effort to improve clinical methods by reducing variation in chiropractic treatment patterns that has long been unaddressed by any other evidence-informed and consensus-driven official guideline.16, 54, 55, 62, 63,72 The approach to the development of these recommendations has been evolutionary so as to guide the profession toward the utilization of more evidence-informed clinical methods intended to improve patient outcomes. Historically, this also explains why the initial low back guideline, published in 2008, required 2 subsequent additional guidelines to expand on acute and chronic conditions. This was practical to introduce additional guidance in a stepwise fashion. The focus of these recommendations has been patient centered and not practitioner centered. Practices and techniques that have not demonstrated superior efficacy in published studies may be used as alternative approaches to those methods that have more robust evidence. No other guidelines have been specific to this purpose within the chiropractic profession and endorsed as broadly, making this guideline unique. It is also important to consider that guidelines specific to other professions may or may not include clinical approaches that do not best inform chiropractic management of low back disorders. Although evidence produced under the auspices of other professions is important to consider, it is also important to consider whether this evidence informs a conservative care approach. For example, from a chiropractic viewpoint, drug and surgical treatment approaches are generally regarded as more invasive and should be considered as second- and third-line approaches to the treatment of low back disorders. That is why we believe that professional guidelines specific to a profession’s scope and approach to intervening in the natural course of disease are important. It is the responsibility of a profession to periodically update guidelines to ensure consistency with new research findings and subsequent clinical experience. As such, an updated literature review was conducted, and the previous best practice guidelines were revised. The evidence reviewed has informed several important new recommendations to this updated guideline. For example, the evidence informs us that the routine use of radiographic imaging studies is not in the best interest of most patients with nonspecific LBP.53, 55 However, there may be exceptions to this based upon history and clinical examination characteristics. Doctors of chiropractic are advised that it is frequently in the best interest of patients to select manual method approaches that do not rely on radiographs to determine the method of manipulation or adjustment.69 In addition, it is not in the patient’s best interest for the DC to use the least evidence-informed chiropractic techniques as their first-line approach over those where the evidence is more robust. While adding important new recommendations, it is useful to note that the updated literature synthesis did not ultimately require many other changes from the original guideline recommendations. The changes reflected in this current update were as follows: (1) a brief description of key elements that should standardly be included during an informed consent discussion; (2) the recommendation that routine radiographs, other imaging, and other diagnostic tests are not recommended for patients with nonspecific LBP (along with recommendations for when these studies should be considered); (3) recommendation that the hierarchy of clinical methods used in patient care should generally correspond to the supporting level of existing evidence; (4) additional clarification about the limited use of therapeutic modalities and lumbar supports that reflects patient preferences with the intention to best facilitate the shift from passive-to-active care and not dependency on passive modalities with limited evidence of efficacy; (5) recognition that although range of motion testing may be clinically useful as a part of the physical examination to assess for regional mobility, the evidence does not support its reliability in determining functional status; and (6) inclusion of a brief summary of the evidence informing manipulation risk vs benefit assessment. Although this revision contemplates new guidance on key practice areas, it is not expected that these new recommendations will necessarily apply to every patient seen by a DC. Similarly, with respect to the dosage recommendations (ie, treatment frequency and duration) within this guideline, dosage should be modified to fit the individual patient’s needs. For example, the majority of chronic pain patients can self-manage, can be managed in short episodic bursts of care, or require ongoing care at 1-2 visits per month, to be reevaluated at a minimum of every 12 visits. It is rare that a patient would require 4 visits per month to manage advanced or complicated chronic pain. Thus, it is important to consider this guideline’s recommendations for visit frequency as ranges rather than specific numbers. In addition, with regard to continuing assessments to evaluate the effectiveness of treatment, after the initial round of up to 6 visits, a brief evaluation should be performed to evaluate the progress of care. Such reevaluations at a minimum should include assessment of subjective and/or objective factors. These might include using pain scales such as the visual analog scale, the numeric rating scale, pain diagrams, and/or validated ADL measures, such as the Revised Oswestry Back Disability Index, Roland Morris Back Disability Index, RAND 36, or the Bournemouth Disability Questionnaire. Additional orthopedic/neurological tests may be considered on a case-by-case basis. Nothing in this guideline should be interpreted as saying that patients should never have imaging ordered based upon examination and clinical judgment. Similarly, the conclusion should not be that every patient should only receive treatment methods with the highest level of evidence. It is the recommendation of this guideline that imaging and clinical methods have evidence to inform their use. In addition, patients should be informed when their care appears to require a trial of an alternate, less evidence-informed strategy. Regarding the evidence used to support these guidelines, most clinical trials are limited in duration and usually reflect a target patient population that is not necessarily representative of all patients encountered in standard practice. Patients possess characteristics that include risk factors (ie, age, history of previous episodes of LBP, etc) and other clinical characteristics that were not specifically assessed in clinical trials. Therefore, it is important to view practice guidelines in this context and that a 1-size-fits-all approach will not fit all patients. It is the collective judgment of CCGPP, the Delphi panelists, and the authors that unexplainable and unnecessary variation in treatment patterns for standard presentations of nonspecific LBP, without considering or using the best evidence, will not necessarily lead to improvements in clinical methods and improved patient outcomes. The work of developing and improving guidelines is a never-ending and time-consuming task. Therefore, the authors have suggested areas of patient management that should be considered during future revisions. 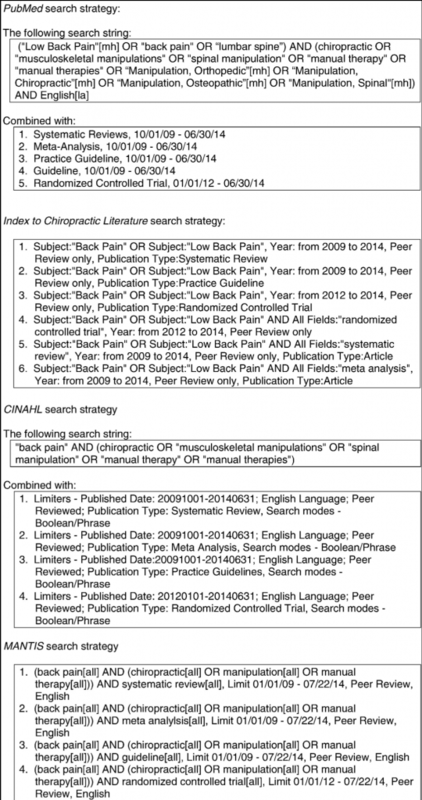 Three areas suggested during the manuscript review process were (1) guidance on the evidence of the value of limited rest at various phases of recovery across the range of low back disorders, (2) more detailed guidance as to what history findings would/should lead to imaging, and (3) review of the literature describing efforts to develop assessment methods and tools to characterize the predictors of outcomes and inform selection and greater standardization of clinical methods.73, 74 Two areas of focus for future updates are also strongly recommended by the coauthors as well. The first concerns attempting to achieve a more detailed understanding of the hierarchy of chiropractic techniques that should be used based upon various archetypal patient presentations across the range of low back disorders. 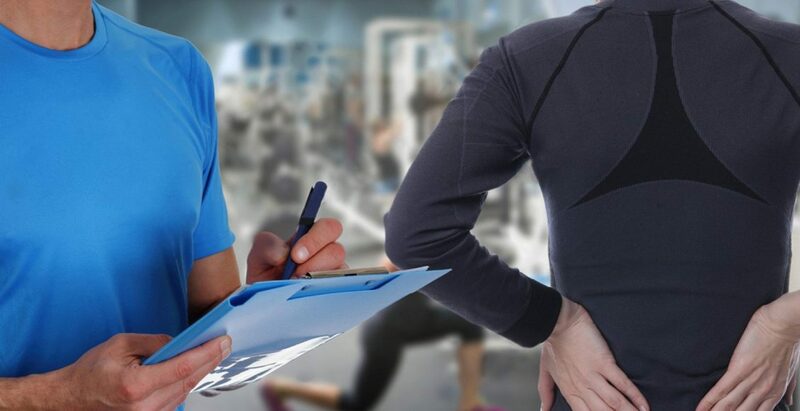 This would require reviewing head-to-head comparative research to determine relative efficacy of clinical methods using specific chiropractic techniques. Our Delphi panel may not have represented the broadest spectrum of DCs in terms of philosophy and approach to practice. In addition, this guideline is most applicable to chiropractic practice in the United States. Input from other professions was present but also limited to 4 members from other professions (acupuncture, massage therapy, medicine, and physical therapy). However, the panel had geographic diversity and was clearly based upon practice expertise with 33 of 37 panelists being in practice an average 27 years. Another limitation relates to the literature included in the systematic review, which extended through February 2014 to provide time for project implementation. It is possible that articles were inadvertently excluded. An important issue related to the literature is that issues of great practical importance, such as the determination of optimal procedures and protocols for specific patients, do not yet have enough high-quality evidence to make detailed recommendations. An example of this is the use of a wide variety of manipulative techniques by DCs,19even though most randomized trials use only HVLA manipulation, due to the requirements of the study design for uniformity of the intervention. As the evidence base for manipulative techniques grows and expands its scope, it is essential that CPGs continue to be updated in response to new evidence. Although the authors did not task themselves with the responsibility of developing a formal dissemination plan, CCGPP is currently developing one to coordinate with the timing of the publication of this guideline. Finally, any guideline recommendations are limited by those who would use partial statements, out of context, to justify a treatment, utilization, and/or reimbursement decision. It is critical to the appropriate use of this CPG that recommendations are not misconstrued by being taken out of context by the use of partial statements. To avoid such practice, we strongly recommend that when a quote from this guideline is to be used, an entire paragraph be included to contextualize the recommendation being cited. This publication is an update of the best practice recommendations for chiropractic management of LBP.9, 10, 12This guide summarizes recommendations throughout the continuum of care from acute to chronic and offers the chiropractic profession and other key stakeholders an up-to-date evidence- and clinical practice experience–informed resource outlining best practice approaches for the treatment of patients with LBP. All authors and panelists participated without compensation from any organization. Logan University made an in-kind contribution to the project by allowing Drs. Hawk and Kaeser and Ms. Anderson and Walters to devote a portion of their work time to this project. The University of Western States also provided in-kind support for a portion of Dr. Hawk’s time. Dr. Farabaugh currently holds the position of the National Physical Medicine Director of Advanced Medical Integration Group, LP. Dr. Morris is a post-graduate faculty member of the National University of Health Sciences and receives access to library resources. There were no conflicts of interest were reported for this study. Concept development (provided idea for the research): C.H., G.G., C.M., W.W., G.B. Design (planned the methods to generate the results): C.H., G.G. Supervision (provided oversight, responsible for organization and implementation, writing of the manuscript): C.H., G.G., C.M. Data collection/processing (responsible for experiments, patient management, organization, or reporting data): C.H. Analysis/interpretation (responsible for statistical analysis, evaluation, and presentation of the results): C.H., G.G., C.M., G.B. Literature search (performed the literature search): C.H., M.K., S.W., R.F., G.G., C.M. Writing (responsible for writing a substantive part of the manuscript): C.H., R.F., G.G., C.M., W.W., G.B. Critical review (revised manuscript for intellectual content; this does not relate to spelling and grammar checking): C.H., M.K., S.W., R.F., M.D., G.G., C.M., W.W., M.D., G.B., T.A. The authors thank Michelle Anderson, project coordinator, who ensured that all communications were completed smoothly and in a timely manner. The experts, listed below, who served on the Delphi panel made this project possible by generously donating their expertise and clinical judgment. Logan University panelists who developed the seed document that served as the basis for the consensus process: Robin McCauley Bozark, DC; Karen Dishauzi, DC, MEd; Krista Gerau, DC; Edward Johnnie, DC; Aimee Jokerst, DC; Jeffrey Kamper, DC; Norman Kettner, DC; Janine Ludwinski, DC; Donna Mannello, DC; Anthony Miller, DC; Patrick Montgomery, DC; Michael J. Wittmer, DC. Muriel Perillat, DC, MS, Logan Dean of Clinics, also provided an independent review of the document. Delphi panelists for the consensus process: Charles Blum, DC; Bryan Bond, DC; Jeff Bonsell, DC; Jerrilyn Cambron, LMT, DC, MPH, PhD; Joseph Cipriano, DC; Mark Cotney, DC; Edward Cremata, DC; Don Cross, DC; Donald Dishman, DC; Gregory Doerr, DC; Paul Dougherty, DC; Joseph Ferstl, DC; Anthony Q. Hall, DC; Michael W. Hall, DC; Robert Hayden, DC, PhD; Kathryn Hoiriis, DC; Lawrence Humberstone, DC; Norman Kettner, DC; Robert Klein, DC; Kurt Kuhn, DC, PhD; William Lauretti, DC; Gene Lewis, DC, MPH; John Lockenour, DC; James McDaniel, DC; Martha Menard, PhD, LMT; Angela Nicholas, DC; Mariangela Penna, DC; Dan Spencer, DC; Albert Stabile, DC; John S. Stites, DC; Kasey Sudkamp, DPT; Leonard Suiter, DC; John Ventura, DC; Sivarama Vinjamury, MD, MAOM, MPH, LAc; Jeffrey Weber, MA, DC; Gregory Yoshida, MD.